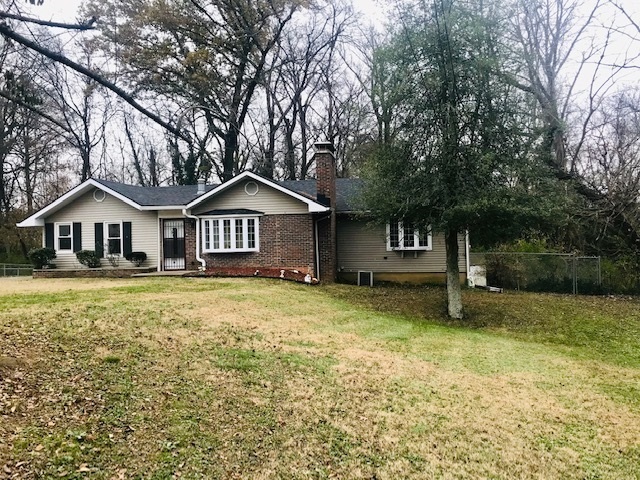 Open Sunday 1/6/2019 1-3pm! Located on a .60 acre lot on dead in street. Home features 1480 SF on main level and 400 SQ FT in basement that is not finished but a portion is currently being used as family room. Brand new dimensional roof was installed Oct. 2018. Den with bay window & wood burning fireplace. Greatroom with original hardwood floors. Kitchen features tiled flooring, updated neutral counter tops, range, dishwasher, microwave included. Also located on the main floor is master bedroom with semi-private wing. Master bedroom features his & her closets (one being a walk-in) and newer carpeting. The full bath down the hall features solid counter top, tub/shower combo and brand new flooring. There is 2 additional rooms on main level connected to a full bath. Other features of this home include: tree-lined backyard, updated windows, some updated light fixtures, washer/dryer included, good storage space in basement & a one year home warranty included.